FRANK MILLER! DAVE GIBBONS! 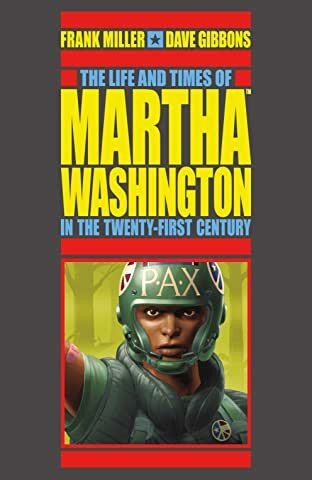 Our story begins in the squalid corridors of a maximum-security housing project, where a young girl will rise from the war-torn streets of Chicago to battle injustice in a world insane with corruption. Her fight will take her far, from the frontlines of the second American Civil War to the cold, unforgiving reaches of space. She will be called a hero, a traitor, and nearly everything in between, but all along the way, her courage, her integrity, and her unwavering commitment to that most valuable of rights—liberty—will inspire a movement that will never surrender. 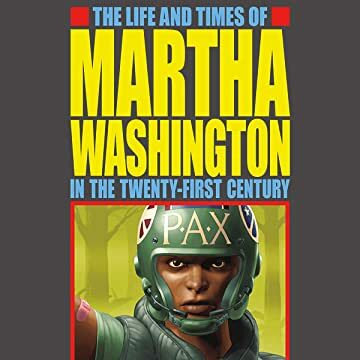 Collecting remastered versions of every Martha Washington, an extensive behind-the-scenes section, an introduction by Frank Miller, and a brand-new cover by Dave Gibbons!